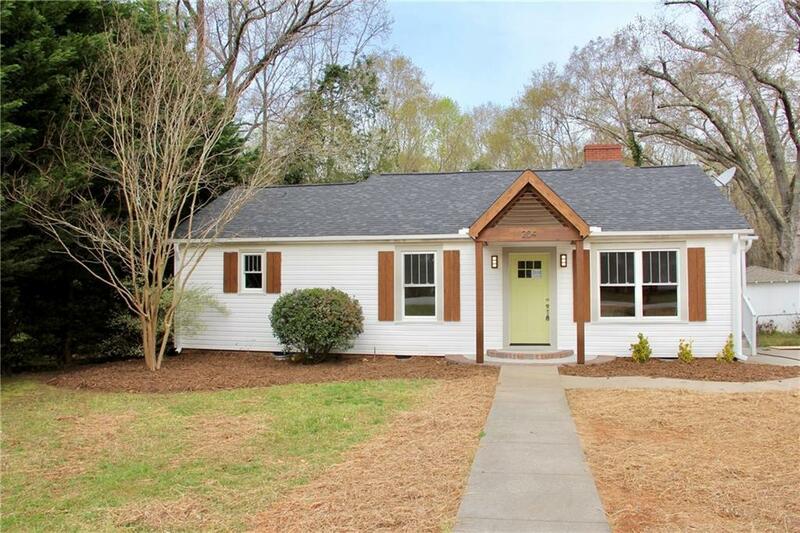 Welcome to this completely remodeled house that is waiting for someone to call it "Home". Featuring original hardwood floors, tile floors, tile walk-in shower, custom kitchen cabinets with stainless steel appliances and tile backsplash, custom woodwork wine insert, new plumbing, electric, roof and windows, huge rear deck for your summer BBQ's, fenced in backyard and 2 storage buildings. This modern feel home is located near restaurants and shopping, convenient to Hwy 123 and Hwy 93. Call today for your appointment to view and call it yours!! !